Follow them on Instagram for everything from travel hacks to most embarrassing moments abroad! What if someone told you never fly to your destination? Instead, take a train, a bus, a ship; experience the journey. Sounds like pretty solid advice, if you ask us. It’s also a thought that never occurs, simply because flying is so often associated with travelling. This is just one of the great advice we received from a local Instagram travel blogger we reached out to. 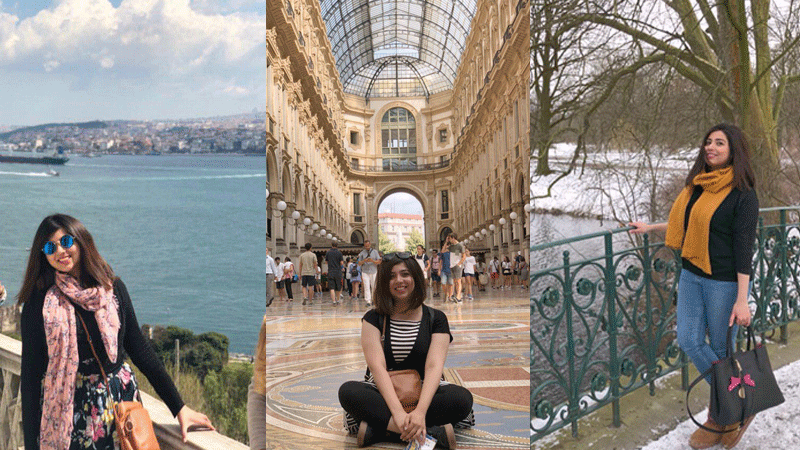 If, like us, you have a love for wanderlust then you’re going to want to know what these 12 local travel bloggers have to say about their travels. 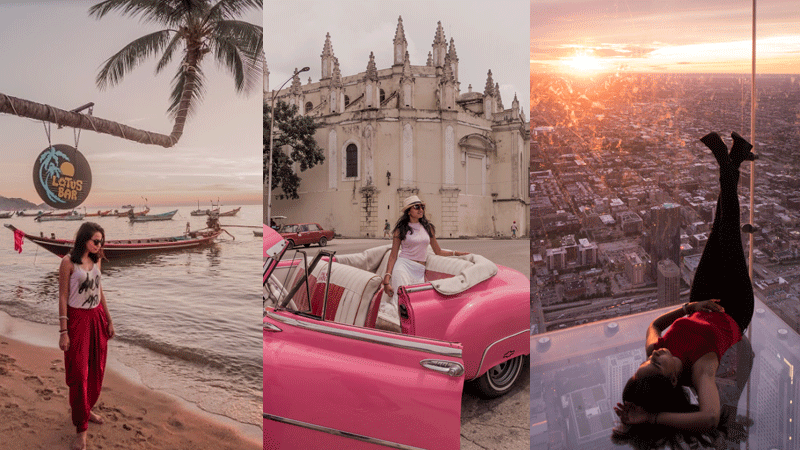 From travel hacks to top destinations and most embarrassing moments abroad, here’s a list of who you should follow on Instagram for the best travel guide - and photos! Anam has been travelling for years now and that’s only been possible because she saves. "Separate savings the moment you get your paycheck, convert them to dollars, keep them away. Also be ambitious, work smart, aim to earn better. Travelling is expensive, and currency fluctuations make it even more so." One travel hack she discovered is, "get a foldable water bottle. You'll never have to buy expensive water at the airport." 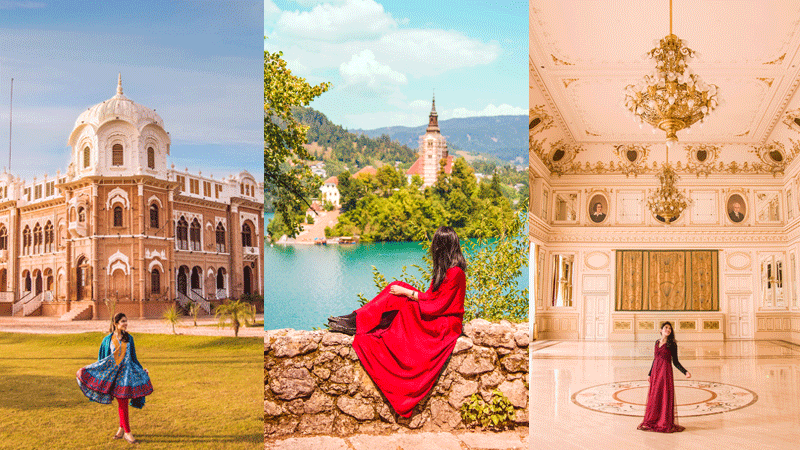 For solo women travellers, the world can seem daunting, but Anam says you have to be smart about navigating your way. "Research on neighbourhoods. I was in Uganda and one night I didn't want to head out alone for dinner to a certain area so I asked a hostel mate to come with. We had a great conversation and I didn't have to walk alone." Taking photos as a solo traveller is a challenge, she admits, but she frames the shot and then asks strangers to take the photo. "Rest is the magic of editing. I'm a self-taught Lightroom user." 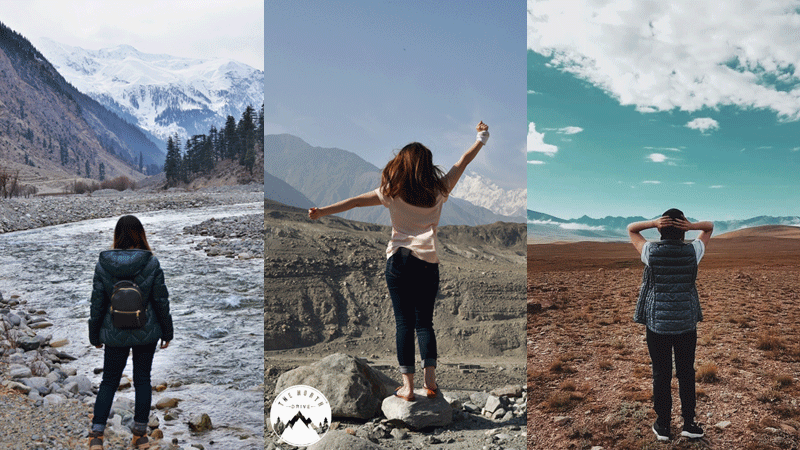 "The idea behind The North Drive is to encourage others like me, preferably women, to leave their comfort zone and have the courage to go out and have an adventure of a lifetime," says Huma, who has travelled to Pakistan's northern areas a number of times. As a solo woman traveller she says she "definitely felt safe" during her travels. "I've been invited by many local women to their homes. Normally people from the city hesitate when they get an invite from a stranger but I think we need to leave that perception behind. The world is full of kind people." Her advice to those wanting to travel up north: "Layers, layers and more layers. A pre-workout before heading for a trek, also try having a warm beverage with you while trekking in the snow." 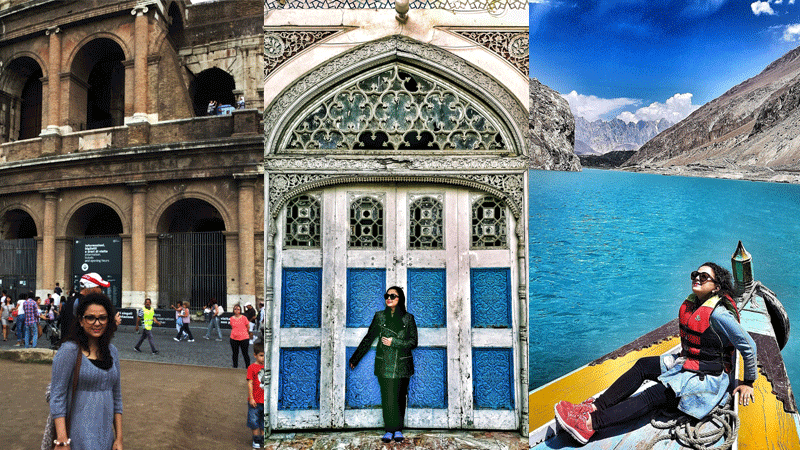 This cute travel duo featuring their travels on Insta is the first of its kind in Pakistan. 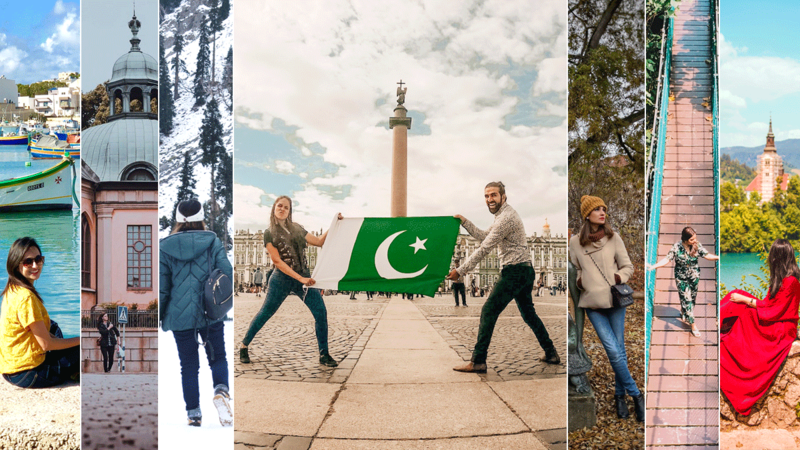 "The idea [behind our page] is a Pakistani travel couple making the coolest travel videos, it's not unique to our generation but it is unique to Pakistan. 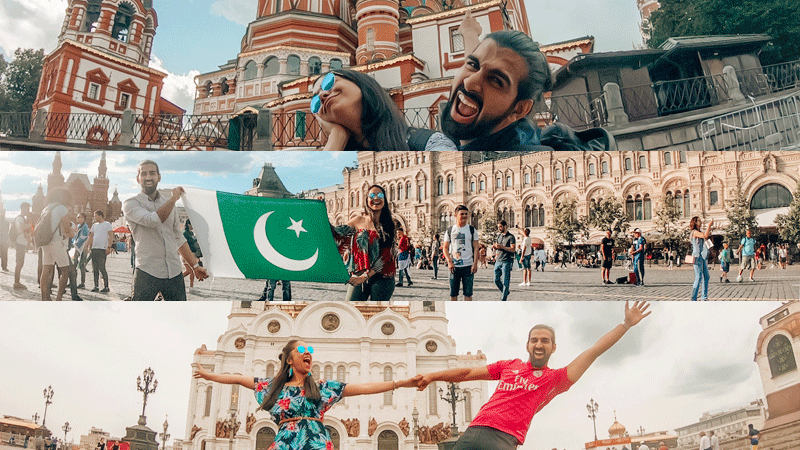 We are officially the first Pakistani couple making travel videos." But they say they are "definitely more than just a travel blog. It’s a platform that aims to create inspiring content; if there are any issues that need to be addressed/highlighted, we do that too. We feel it’s our responsibility to be REAL to our followers and also educate/engage/inform them in the process." Travelling with a partner is definitely a "BIG PRO", not only do they both have similar interests, but they're aligned on the budget - much of which they also advise travel enthusiasts. "We make compromises on accommodation and food and spend more on activities and experiences. We’d rather eat from the street than in a fancy restaurant. We’d rather couch surf than stay at an over priced hotel. for a more authentic, experience. Always make friends with the locals, they are the key to the real cool undiscovered places." 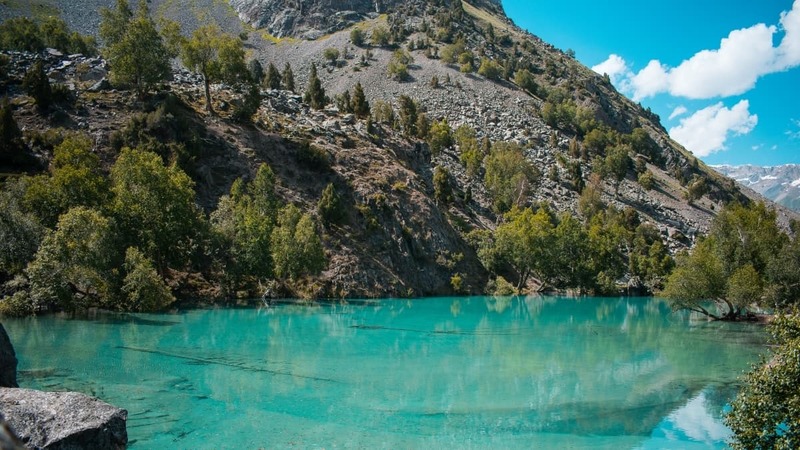 Mubasher's Instagram usually features images of landscapes, but that's because "it's a personal preference not to be in a photo. I do photography to express myself in a way which I feel is unique for me." Mostly travelling within Sweden and Norway, he says that those two countries along with Turkey and Vietnam are the best for solo travellers. And if you ask him for travel advice, he'll straight up say, "Never fly." 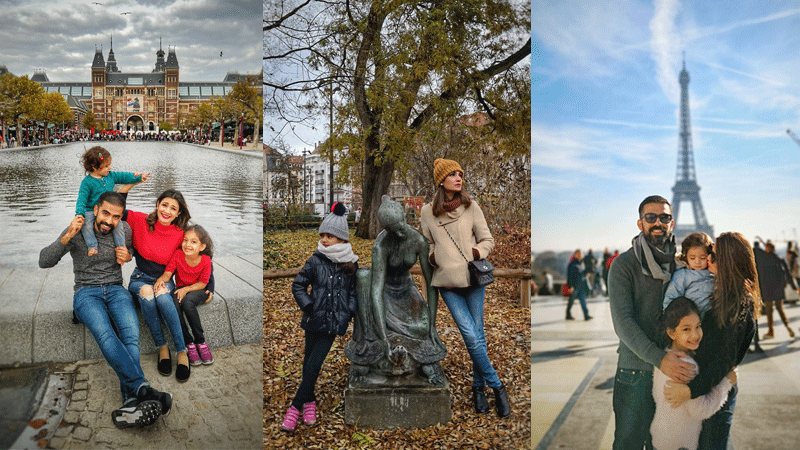 This mummy of two has some sane advice for mothers out there with wanderlust. "Focus on everything that you CAN achieve with your children while on a holiday rather than everything you cannot." "Ambitious plans of sightseeing, trying out fancy restaurants and shopping, mostly result in a lot of frustration for the family. Remind yourself that you're on a holiday to enjoy time away. What you couldn't see or do is okay. What you could, makes your memories." Mahvish adds, "We have done big cities with our toddler and have regretted it. Now we prefer shorter trips to smaller cities so that our agenda to sight-see isn't huge or unmanageable. We find cities where you need the metro to travel from one part to another very daunting. Ramps and lifts are not present everywhere. Sea-side cities are perfect for kids. The beach, some toys, the water, naps, play time = perfect holiday with children." She also suggests making the child the priority. "There are no travel hacks, especially for little children, they change their habits and preferences so fast. Travelling with toddlers is just difficult so it is best to keep your day plans according to the little ones' schedules. Stop when it's time for them to eat. Take a break when it's nap time. We usually leave the hotel early, as soon as the kids are up and come back by their bed time. Sad, but practical." Her travel hack "is rolling your clothes like a burrito so that you have enough luggage space and don't go overweight." And like most, her worry during travels is usually related to tipping. "When? Who? How much? Do I have enough small bills?" 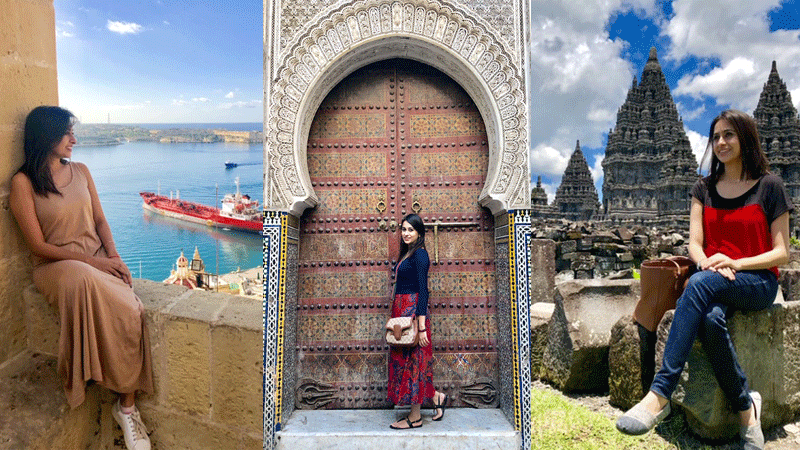 For those who wish to start their own Instagram travel blog, Farheen has some solid advice: People will be really mean so develop a thick skin. Everyone will have opinions but at the end of the day, focus on your passion. 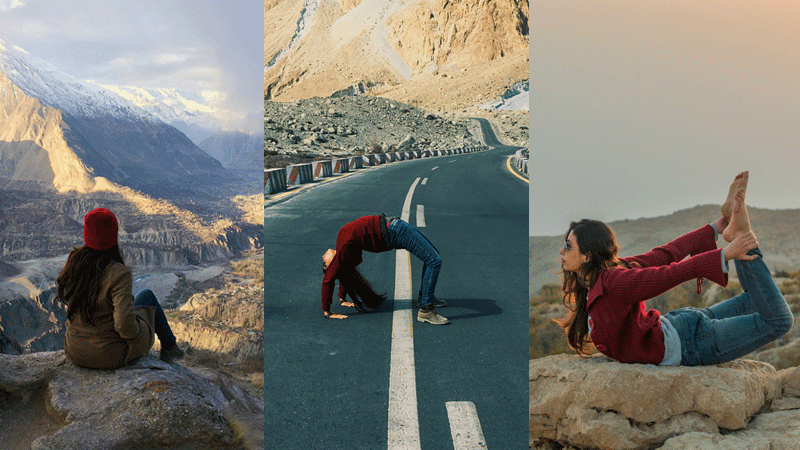 Koumal's Instagram is not like other travel bloggers; she's a yogi who loves taking photos busting a yoga move during her travels. "Travelling and yoga are both love and add soul and value to my life. I always enjoy doing yoga when travelling but at times my schedule is so tight that I end up doing yoga poses for pictures mostly." "I love getting my yoga pictures taken at beautiful locations," she says. However, it get bothersome at times when she gets stares from passersby. 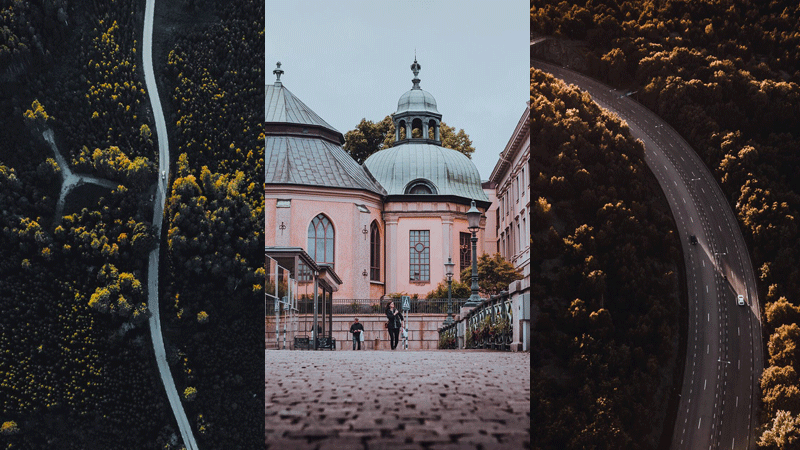 Usually she travels with people who take her photos, but on the rare occasion that she does plan to travel solo, she already has a hack up her sleeve, "I'd ask anyone around to take a picture or carry a tripod and put my camera on timer. This may take a few retakes to get Insta-worthy photos, so one will have to be patient." 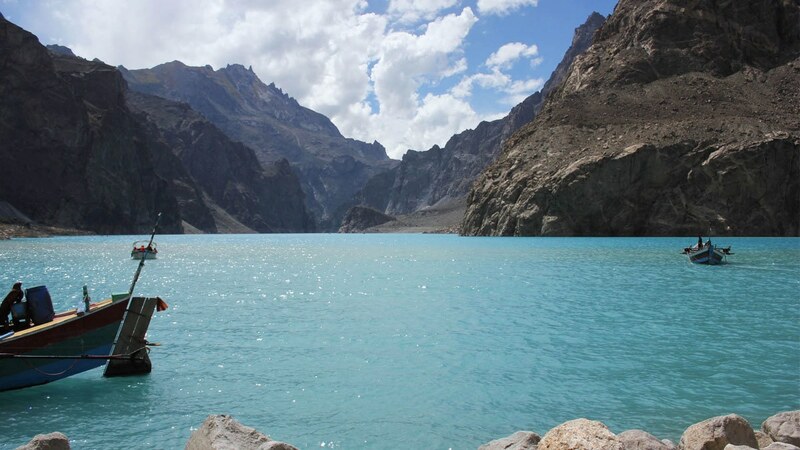 And before travelling to any place, "always have enough knowledge about the type of trip you're going for and pack your stuff accordingly," she says as she recalls her first trek in Hunza without trekking shoes. "In the middle of my trek, my joggers tore and I had to complete the trek with shoes with almost no sole." If you're hoping to travel soon, Rabia suggests you "plan your trips yourself; wait for offers to book and plan a budget trip. All fancy hotels and airlines go on discounts." This will help you stick to a budget-friendly trip. The key to travelling smart is "pack light but carry all that you need." And if you're solo traveller trying to get an Insta-worthy photo, Rabia says "look for tourists with cameras. I frame my picture and ask other tourists to take the picture. Many times I have to take their picture first." Though she's been travelling a while, she's had her share of embarrassing moments, like when "my card got declined at a restaurant abroad and I didn't have any cash. I promised to pay the restaurant the next day. All night I tried contacting my bank to get some cash. Luckily, the card started working the next day - my bank had blocked it for 1st Ramazan." Areesha has a few top destinations she'd suggest to travel lovers: 1) Bali, Indonesia: it's incredibly rich in culture, history, religion, architecture, beautiful beaches and night life; 2) Greek islands: From the white washed island of Santorini to those picturesque windmills of Mykonos against the blue Mediterranean sea are not to be missed; 3) Switzerland: As cliche as it sounds, you’ll fall in love with the lush green Swiss villages, lakes, mountains and valleys! Not to forget their divine chocolates; 4) Iceland: For the sake of the magical Northern lights, that diamond beach and blue lagoon. Her travel hack is one for the books! "Ironing clothes with a hairdryer! We usually aren't provided irons in budget hotels, so this was a great discovery for me." The secret to her amazing Insta pics? 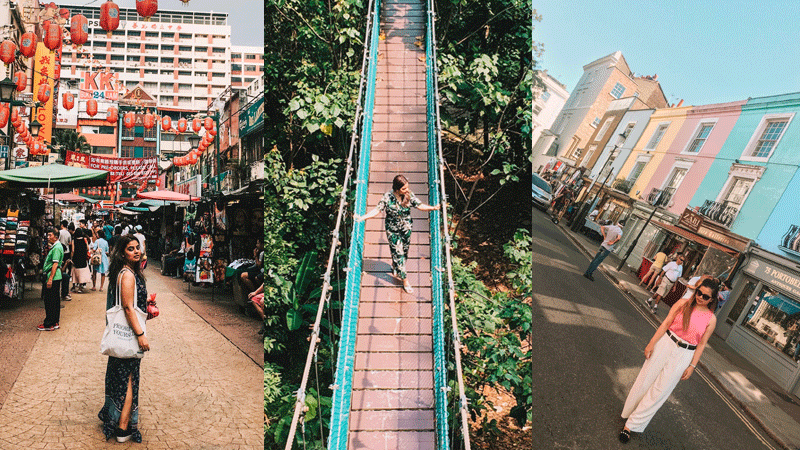 "Wake up at 5am and get to all the touristy spots as early as possible. You will find the city empty and your photos will be free from all the crazy crowds! Also a great way to explore the city without the hustle bustle of tourists and get the true ambiance of the cities." "The main aim was to humanise Karachi to Pakistan and the world. One picture at a time I'd open up a window for the outside world. I wanted people to start to view the city the way I see it," says Bilal about starting his Insta blog. And his inspiration comes from Humans of New York (HONY). "I was certainly inspired by HONY’s style of storytelling. I created a hashtag on my page, #touristsinkhi, where I share stories of tourists I’ve met in Karachi. I let them write the captions themselves whereby they share their travel experiences to Karachi and Pakistan." His most memorable travel within the country was during his trip to Bhit Shah. 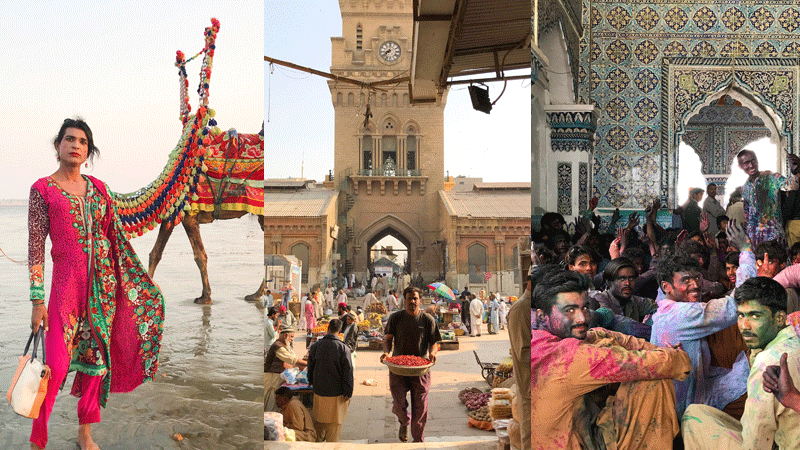 "It was a sight to see so many people visit the Shrine of Shah Abdul Latif Bhittai to pay their respects right after they played Holi. It goes to show that the poetry of the Saint resonates with everyone beyond race, class and religion." His advice to fellow travellers: Get in touch with locals. Many times you learn about hidden gems you would’ve never known about had you just stuck to guide books. Gul's secret to taking Instagrammable photos is to have meaning behind every snap. "I love capturing moments; that’s my favourite thing to do. Every Insta photo of mine has a story behind it. Lastly, the old rule of the thumb: always smile for a picture with all your heart.. When it comes to packing, she suggests, "Always pack less. Trust me. You are only going to use 5% of your luggage. Don't pack anything extra." And having a budget-friendly trip can be made easy. She says, "1) Be wary of spending extra money on food, only spend money on the most popular dish in the country you visit. Also, first thing to do is buy edibles from grocery stores, it'll save a lot of money; 2) Book flights at least two months prior; 3) When traveling in Europe, Ryanair is the best choice for cheapest flights; 4) Stick to a planned budget, and save money every month if you want to become a passionate traveler." 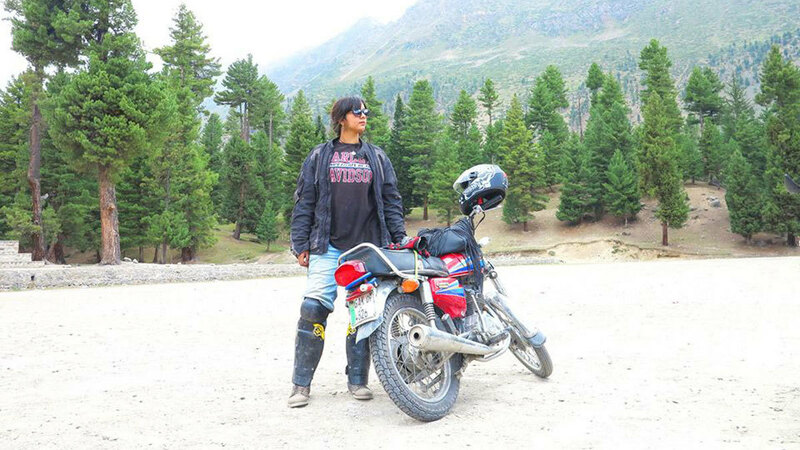 Being a solo woman traveller, Urooj says, "Don't ever be afraid to explore the world. Many people say that solo travel is unsafe but in reality it's only unsafe when you don't take the right precautions." "Always have a working phone connection with data; keep away from situations or people which seem unsafe; always Google the possible scams which take place in the city you're visiting and be careful of those - while keeping all these precautions in mind, explore freely and see what a wonderful place this world can be!" Her only regret is not being open to making friends during her initial travels. "There were many times I wanted to make friends with people I met on travels and tour groups but I used to be shy about it. I don't do that now but looking back I suppose I would be embarrassed at my old self for not being confident enough." If you can't pack light, Urooj has you covered, "When your suitcase is overweight, wear as many clothes as possible to keep the luggage weight less - when you get to a duty free, buy a small cloth hand-carry and stuff the extra clothes inside!" Bless everyone of you. Thank you. Happy Travels! The best travel tip I ever got was ... plan what you think you need, THEN, take half the clothes and twice the money! Very good. So many Pakistanis could get a visa to travel so freely is also good to know. I think there is social stigma around Pakistanis travelling around the world. It is good to see green passport travelling around. I have blue passport, but being of Pakistani origin, I never get questioned asked at immigration (only UK and when returning to Canada). One time I flew to UK for few hours to eat chapli kabab (literally what was told to immigration officer) and was not interrogated! But my parents are always. You forgot Aksgar.me - one of my favorite.! i hadnt heard of any of them. thank you for sharing their handles and area of interests. i also blog and make video logs of pakistan. only pakistan. 'pakistan on a plate' youtube channel niloferscorner . facebook niloferscorner. my interest is pakistani culinary tradtions not yet documented and food stories. Thank you - I'll be checking yours out as well as these other ones. Good article, and great to see Pakistanis of all backgrounds getting out there and seeing the world! It’s good to see so many women, er, ladies traveling solo. I never thought that even Pakistani girls would be that intrepid or courageous!!! Good for them ! Plus the obvious practical realities of funding the trips and getting the requisite visas. Any idea about the travel blogger - Mustafa Ahmed Kanjoo?